Administering medication to cats is easier than it seems if you know the techniques and tricks. In this way we will ensure that the process is not unpleasant. Despite their reputation as rebels, most cats, if they are well trained and have confidence in their owner, are docile animals that are not very difficult to deal with. Therefore, giving them medication need not be too problematic. In addition, the tablets manufactured today are becoming smaller and easier to administer. This does not preclude them from sometimes rejecting them, and that is when we have to use different tricks and strategies to medicate them. In case of failing to give them their medication, we will have no choice but to go to the vet to have the medicine injected. The easiest way to administer medication to a cat is in a liquid state, so if we can choose then the best is to opt for this format. Otherwise, and whenever the cat does not accept it as such, we can crush the tablets or pour the contents of the capsule and mix the powder with a little water. In any case, we can first try to place the tablet or capsule directly in the mouth, as it is likely to accept it without further complications. If your cat gets very nervous or violently rejects the medication, we you need to immobilise it by wrapping it with a towel to prevent it from moving and scratching us and to enable us to hold it better. We will call it affectionately to stroke it and massage it for a while so that it doesn't see what is coming, and we will discreetly wrap it with the towel around its entire body except the head, which we will leave uncovered in order to administer the medicine. Throughout the process of administering the medication, we must keep calm and act calmly – firstly to reassure the cat and secondly to avoid mistakes by being too hasty or harming it. 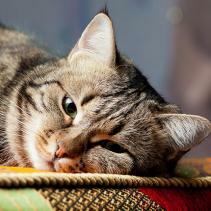 Once it has taken the medication, continue stroking it for a while and congratulate it for having overcome the ordeal. We can also give it a treat, which will facilitate future administrations. Alternatively, you can administer the medicine mixed with food, preferably one that it particularly likes or some of its favourite treats. It is better first to give it a portion without medication, so that it does not suspect anything. Also, it is not desirable to give it too much of the medicine mixed with the food, because if it doesn't eat everything up, it will not have ingested the complete dose of the medication. 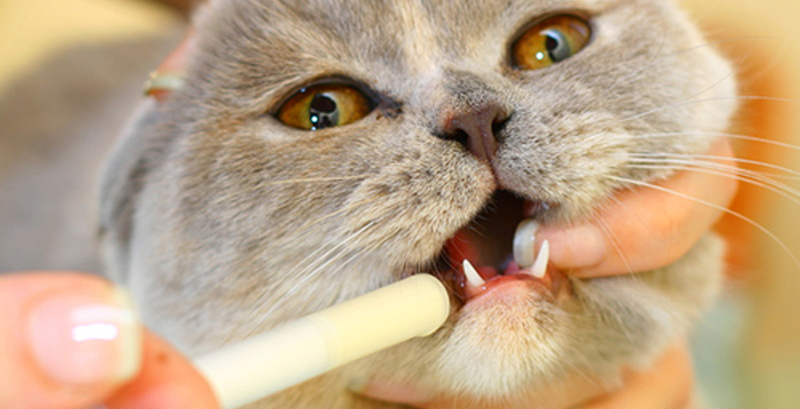 As you can see, it is not so hard to give medication to your cat, as there are techniques and tricks that make the process as painless as possible, both for them and for us.